At Washington Memorial Chapel, we believe fellowship and service are key factors of spiritual growth. 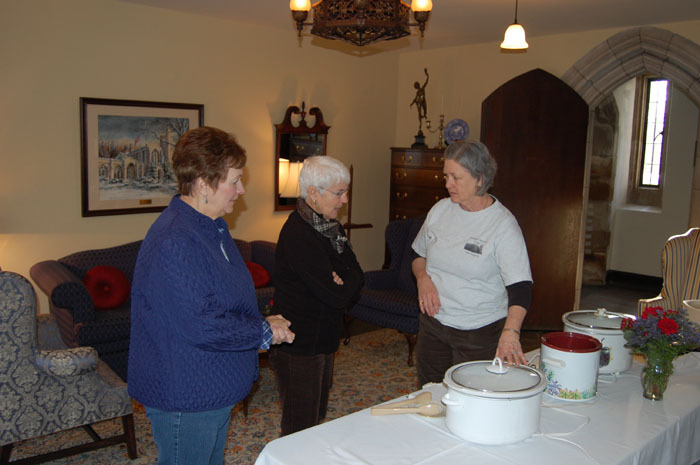 We are an active congregation and host many spiritual and social activities throughout the year, including dinner groups, Bible study, Lenten Midweek Series dinners, French Alliance Day, baking and crafts at the Cabin Shop, the flea market, and Shakespeare in the Park. We encourage all to take part in Washington Memorial Chapel’s vibrant parish life. Our faith community is formed not only through our weekly worship services, but also through the many groups that join together for a common goal. Among these groups are service guilds, volunteer committees, and outreach programs. Our diverse congregation welcomes you to explore the many opportunities for fellowship. Washington Memorial Chapel is a committed Christian congregation, but we welcome with open hearts people of all faiths and perspectives.